If past is prologue, U.K. accounting regulators may want to take a hard look at the great American business tragedy known as Enron. In 2002, the scandalous collapse of the energy company caused the demise of one of the Big Five audit firms, Arthur Andersen, resulting in the Sarbanes-Oxley Act’s stern reforms. The now Big Four are in the crosshairs of U.K. regulators, following the spectacularly speedy collapse in January 2018 of Carillion, one of Britain’s largest construction firms. It was the largest insolvency in U.K. history, jeopardizing some 20,000 jobs and countless pensions. The company went into liquidation with liabilities of $9 billion and only a few million dollars in the bank. 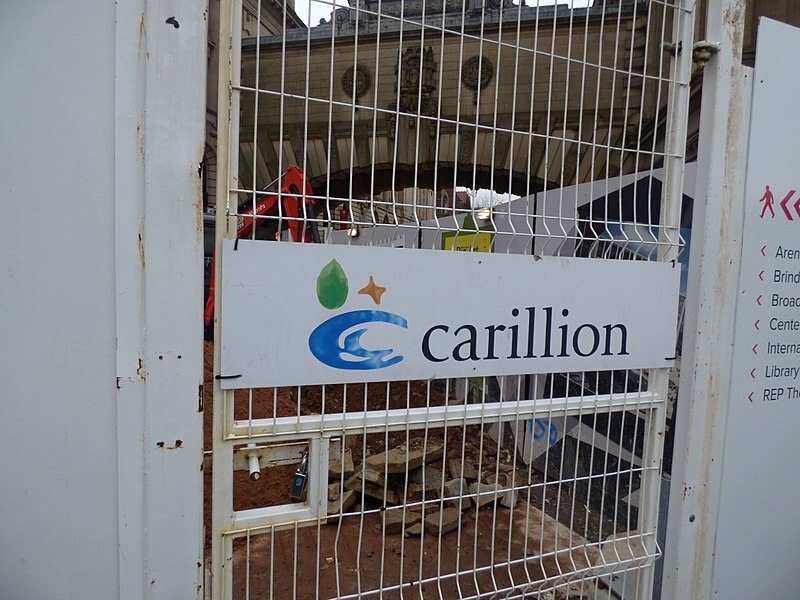 All four auditing giants were connected to Carillion in some capacity, with KPMG its external auditor. A House of Commons report says KPMG failed to challenge management on “highly questionable assumptions” about construction contract revenue and accumulated goodwill from acquisitions. As with Enron, this roiling hurricane has whipped up urgent calls in the U.K. for auditing reform. Some want Parliament to separate the audit work of the Big Four from their prized consulting services; others suggest shattering them into multiple firms. While the first has been done in the United States, some here are still calling for the second. The United States is ahead of the United Kingdom with respect to regulating auditing, but no one would say America has perfected the approach. An effective framework of accountability for auditors doesn’t presently exist. So, could a downfall of Shakespearean proportions like Carillion’s happen here? And is there a solution to making sure it doesn’t? When considering the accountability of auditors in a sizable corporate meltdown like Carillion’s, or MF Global’s, or even that of Lehman Brothers, accounting experts underline the imposing task audit firms face. In every engagement, they issue an opinion on the fairness and accuracy of a company’s financial statements based on a statistical sampling of its financial data. Audit firms in the United Kingdom can still provide consulting services to the same client (unlike in the United States), resulting in a blatant conflict of interest. That and other circumstances of the Carillion case are an old tune in the U.S., which confronted similar issues post-Enron until Congress passed the Sarbanes-Oxley Act of 2002 (SOX). SOX prohibits firms from providing non-audit services to audit clients like internal audit outsourcing and large-scale, large-fee information systems design and implementation. The law also requires publicly held companies to disclose the fees paid to auditors. In 2014, the Public Company Accounting Oversight Board (PCAOB) banned a PricewaterhouseCoopers partner for overlooking improper revenue recognition by a medical device firm. 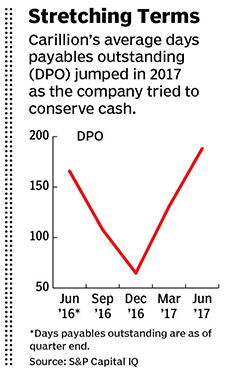 The practices missed included unusual pricing and payment terms, quarter-end sales spikes, and a scheme by which the company funded a distributor’s purchases. A U.S. district court recently found PwC guilty of giving Colonial BancGroup a clean audit for years before it emerged that huge chunks of Colonial’s loans to a mortgage originator were secured against assets that did not exist. The PCAOB charged Deloitte with violating PCAOB rules and auditing standards in audits of software firm Jack Henry. The PCAOB said none of the engagement personnel had the knowledge to properly evaluate and audit the firm’s accounting for software license revenue. In addition, criticisms of the U.K.’s accounting watchdog, the Financial Reporting Council, are similar to those leveled at the PCAOB: that the regulating entity is too close to the firms it oversees. Two of the current five members of the PCAOB, for example, spent significant time at Big Four firms, and an April 2018 academic study found that an increasing number of PCAOB employees leave the regulator for senior-level positions at large audit firms. Like all sweeping business regulations that are passed, SOX was initially greeted by companies as unnecessarily burdensome. But it has changed corporate behaviors for the better, restoring needed investor confidence in the accuracy and completeness of financial statements, says Robert Hartwig, a professor of finance at the University of South Carolina’s Darla Moore School of Business. The statement bears repeating, as the White House and Congress are questioning the effectiveness of many capital markets regulations. A current bill in the House of Representatives, for example, would allow small broker-dealers to hire audit firms that are not registered with the PCAOB. “The U.S. took a hard step in adding another layer of regulation. But the result has been greater financial transparency and corporate governance,” says Hartwig. Another factor involving the difference in oversight here and in the U.K. is a wide disparity in funding, points out Patrick Villanova, a former lead audit senior manager at PwC. The PCAOB’s $250 million annual budget is pretty much double the funding of the FRC and regulators in the Netherlands, Ireland, France, Germany, and South Africa — combined. In the United Kingdom, Parliament has remedies in mind in the wake of the Carillion collapse, some of which have also been contemplated in the United States. The two principal ones are (1) fragmenting the Big Four into smaller firms, and (2) detaching their audit arms from their consulting services arms, which generally offer strategy, legal, and merger-and-acquisition advice. The first solution would encourage competition in the audit market, say U.K. lawmakers, limiting the potential for audit firms and clients to nurture long-term, cozy relationships. The Big Four check the books of nearly all (98%) of the U.K.’s 350 leading public companies. “The veiled threat [by regulators] is that if you don’t do it, we’ll do it,” says Gordon. More competition would break the Big Four’s stranglehold. Other suggestions being proposed in the U.K. would cap these firms’ market share of public company auditing or limit the number of audit clients any one firm can have. Villanova, now vice president and corporate controller at BlackLine, is doubtful about the prospect of breaking up the Big Four. “The second-tier firms readily admit they currently don’t have the national office resources, technical expertise, or the global networks of the Big Four,” he says. He is not alone in that position. The provision of both audit and consulting services by a Big Four firm is the other chief complaint of U.K. lawmakers. Their arguments are driven by an enhanced potential for conflicts of interest, since audit firms are both an advocate and a public protector of a company on behalf of shareholders and investors. And the job of advocate, in the form of advisory work, pays more. The Big Four counter that added services like tax and legal consulting are useful from an expertise standpoint, allowing for higher-quality audits. They also say the added revenue stream of consulting services income helps subsidize clients’ audits. “If you remove the ability to offer these services, audit prices would be considerably more expensive, as much as double,” Wheelwright claims. Nonetheless, these factors do little to offset the possibility of a serious conflict of interest. “If there are no disputes on the audit side with the client, no issues over asset impairments or how revenue and expenses should be booked, then no problem — the conflict of interest is hypothetical,” says Gordon. “But if the auditor is questioning these things while the firm also provides profitable services to the client” then the auditor may turn a blind eye. The conflict of interest argument has also arisen in the United States, where many wonder if it makes sense anymore for the issuer being audited to be the one paying the auditor. After all, why do auditors continue to make big, costly mistakes that result in lawsuits? Could it be the pressure to keep the audit client happy? Big Four alumni say the overwhelming majority of auditors are not being negligent. As Villanova explains, an auditor is often trying to figure out some “newfangled, ingenious thing that some banker came up with” while the “clock ticks toward the quarterly earnings report.” The company makes a best estimate based on the available information, and the auditor scrutinizes the company’s key assumptions to the best of his or her ability. A potential solution to the problem of long-term auditor-client relationships, says Villanova, is having another firm come in and check the assumptions. There is no law or accounting rule requiring the use of peer reviews, in the U.K. or the U.S. Not only would a “referee” weaken the conflict-of-interest charge — auditor would know its work would be evaluated by a competitor — it would spread the wealth among a greater number of firms, addressing the oligopoly assertion. “It could result in a new practice, whereby a group of firms specializes in scrutinizing the financial data that another firm has already scrutinized,” Villanova said. That already happens when a company goes through a major acquisition or divestiture — one Big Four firm gets hired to give the company a valuation report and another audits the assumptions and models used in the valuation. The Big Four would hardly relish having other audit firms peering over their shoulders at their workpapers. In addition, issuers and investors might not put up with longer lead times between the closing of books and the auditor giving its imprimatur to the financial statements. One thing auditors can do to head off any new rules is to ensure new auditors are trained to appropriately challenge the client on accounting and disclosure matters. Audit committees on boards of directors can also play a part. They must keep auditor independence intact and identify for auditors the transactions and accounting issues from which misstatements are likely to arise. Lawmakers in the U.K. might be off base — “looking for precise answers to improve a science that is inherently gray,” as Villanova puts it. But that doesn’t mean the quality of audits can’t be improved. For certain, if the Big Four firms don’t join the discussion about how to make incidents like Carillion less likely, they may not be happy with what regulators impose as a solution.